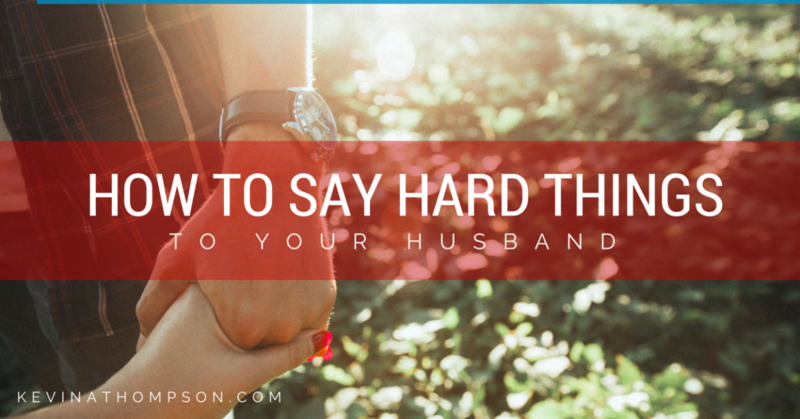 In response to my article, 7 Things Never to Say to Your Husband, several readers responded with similar situations: they are afraid to bring up difficult issues with their husband because every time they do, their husband responds in a negative way. They sulk, shutdown, or respond with anger. Every critique is taken personally. First, let’s consider why some men take criticism so personally. Most, however, are not trying to manipulate their spouse. They respond this way because they feel overwhelmed by confrontation and struggle to know how to handle it. They don’t know what to do so they do what was modeled for them in their family or what gets them out of the conversation. No matter the reason why a man responds in this way, the conversation must be had. Assuming the issue is important enough to the wife, a husband must learn how to recognize his emotions, focus on the issue at hand, and have a productive conversation with his wife. Important: This is a man’s responsibility. We must learn the skills necessary to improve our relationships. All the weight cannot rest on the shoulders of our wives. While they have a responsibility, they are not responsible for our feelings, reactions, or skills. While wives are not responsible for their husbands, there are some things they can do to create a better climate for a healthy conversation. 1. Pick a good time. We often start difficult conversations when it is convenient for us without considering others. Yet timing goes a long way to creating a meaningful conversation. If you don’t know when is a good time for your spouse, ask them. Say, “I have an issue I want to discuss, when is a good time for you?” Don’t allow them to avoid the discussion, but do give them a meaningful say on when the conversation will take place. 3. Acknowledge the discomfort. If your husband begins to show signs of discomfort, name it. Communicate that you know these conversations aren’t fun, but they are necessary. Don’t downplay his emotions. Don’t treat him like a child. Recognize his uncomfortableness comes from a real place and is justifiable. Don’t allow the tension to prevent the conversation, but do work through the feelings so the conversation can be effective. 4. Stick with the issue. When a conversation begins, it should focus on a single issue. Maybe other issues need to be discussed, but those conversations should happen at other times. It should stick with the issue and not devolve into personal attacks. Many conversations between couples become destructive because they don’t stick with the original issue and eventually they turn to personal attacks. 5. Clarify the goal. Continually repeat the goal of the conversation within the context of the relationship as a whole. You want the relationship to be better. You love one another. Because you have experienced good times, you want things to be even better. This negative issue is within the context of many positive things. When you find common ground and understanding, you will put the issue behind you. Repetitively remind one another of what you share in common and how communicating about the issue can make the relationship better. When a couple can’t discuss an issue, bitterness, frustration, and sadness are certain to set in. As long as conversations hold the promise of being productive, a couple can work through anything. The moment hope is lost that an issue can be discussed, any tension can bring down a relationship. A man is responsible for understanding his reactions and learning how to deal with issues in a way that doesn’t feel like a personal attack. If no matter what he does, he cannot have difficult conversations without feeling fear and anxiety, he must seek help to understand the underlying cause. Yet wives should do everything in their power to have the best conversation possible. My husband started smoking pot and completely ignoring me several nights at a time. There was always some excuse to not come to bed at a reasonable time. If I’d bring up the issue, we’d fight and then he would run away and sleep in our car, not coming home until the next day. 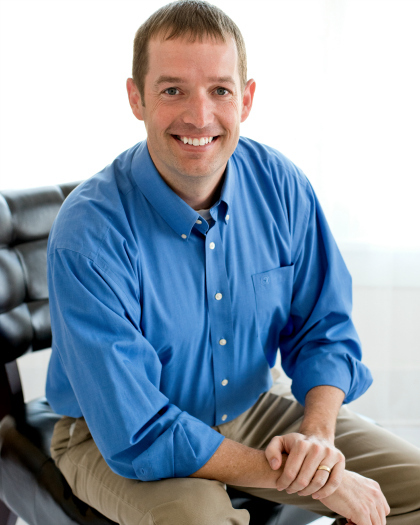 Kevin, your articles on not chasing a husband when he runs, and thr other one about marrying a partner, not a child…these have been so helpful as I make the decision to continue being separated from him, or try to move back in and work it out. Drugs are a deal breaker for me but I made a commitment and I feel bound by my vows.